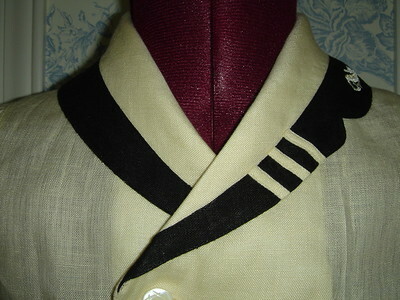 Sew Beautiful: Jack's Sailor Suit and more! 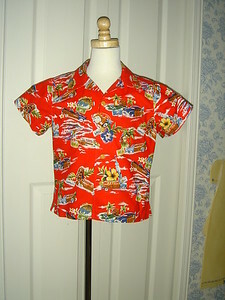 Of course I think of it as Jameson's Sailor Suit! Suit, collar pattern and instructions were in Sew Beautiful magazine, issue #123, March/April 2009. 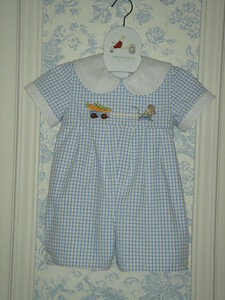 July/August 2010, issue #131, included a photo of the little blue checked romper. I made it for Spencer, but it was too small... so off it went to Alabama! 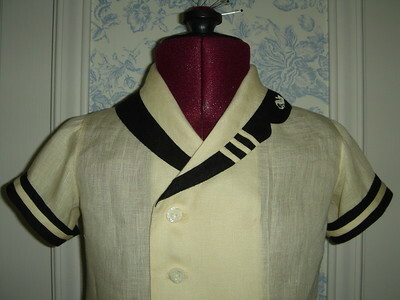 July/August 2011, issue #137, "Front and Center: All Lined Up article with print matching method for button fronts, pockets, seams. My version from a picture in MP's Jack and Jill. Ecru handkerchief linen & black linen. 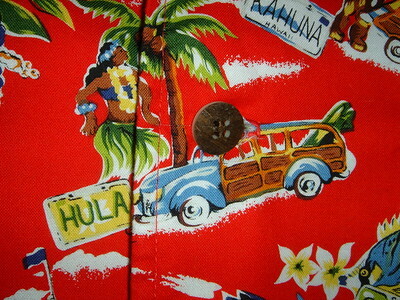 Vintage buttons from Laurel and a vintage MOP buckle from ebay. 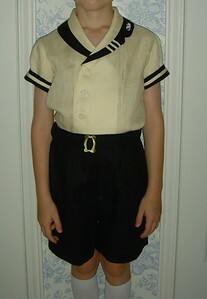 Shirt pattern modified from CC Boy's Basics II, shorts CC Michael. Embroidery from Brother Miniatures card (seahorse extracted from seahorse crest design). This romper is featured in a Sew Beautiful magazine article, which focuses on lining up print fabrics at center front, seams and pockets. The article is "Front and Center: All Lined Up" and it is in the July/August 2011 issue. 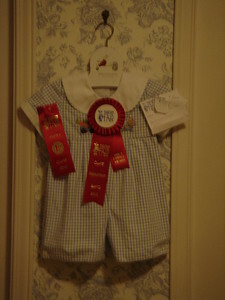 Pattern & design details with picture of whole romper. 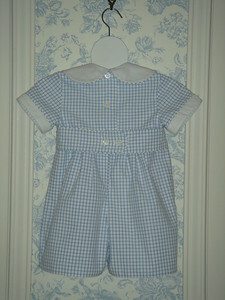 Pattern from Martha Pullen's "Heirloom Sewing for Jack & Jill": short pleated lined romper. 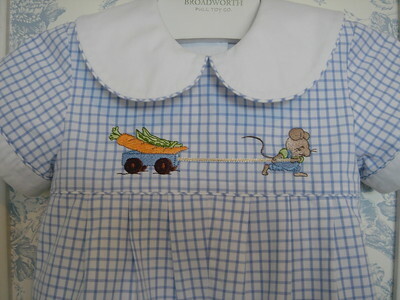 Embroidery design: Wendy Schoen/Martha Pullen. 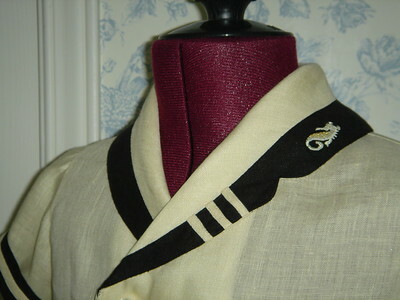 Collar and cuffs are line pique. 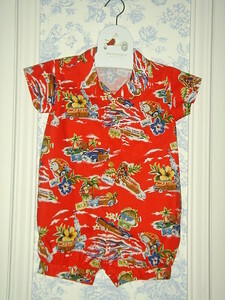 This romper is in the July/August 2010 issue (#131) of Sew Beautiful magazine! 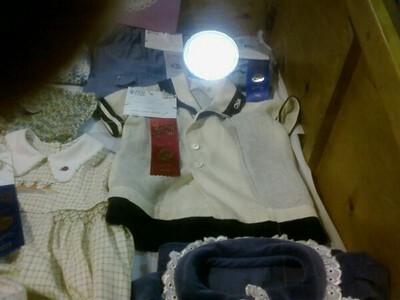 Addendum... won first prize at the (local) Markham Fall Fair, plus an additional ribbon from a local fabric store. It came with a gift certificate! This shirt is featured in a Sew Beautiful magazine article, which focuses on lining up print fabrics at center front, seams and pockets. The article is "Front and Center: All Lined Up" and it is in the July/August 2011 issue. This shirt is featured in a Sew Beautiful magazine article, which focuses on lining up print fabrics at center front, seams and pockets. The article is "Front and Center: All Lined Up" and it is in the July/August 2011 issue. 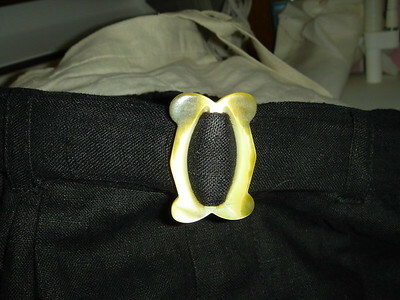 These are new Tagua buttons. Very crumpled from the trip, and a really bad photo. Normally I keep taking them until I get something decent, but the battery was going in the camera. Plus an award from a local fabric shop. It's a gift certificate. Just an updated, better pressed? version! Rebecca was worried that Babu might not like this buckle... too feminine, too different from what other little boys are wearing... But it was love at first sight... he labelled it a "super hero" buckle and wanted to know if he could wear the belt with other things! 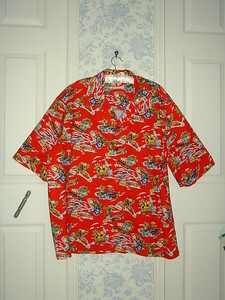 I made two shirts the same size... one for my dh and one for my dsil. One of the shirts is featured in a Sew Beautiful magazine article, which focuses on lining up print fabrics at center front, seams and pockets. The article is "Front and Center: All Lined Up" and it is in the July/August 2011 issue. 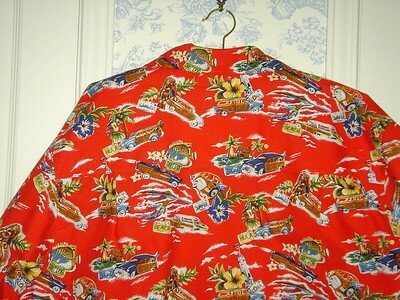 (Likely both guys are hoping it is the other one's shirt in the article!) 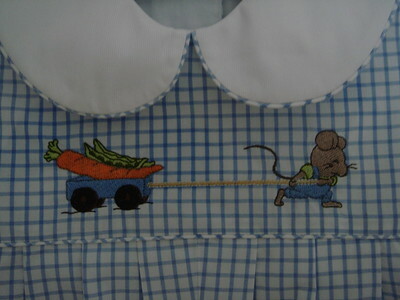 Kwik Sew pattern. With thanks to all my cyber sewing buddies for their help with the collar... so much knowledge it felt like I'd just taken "collar drafting 101"! Thanks to Judith M. for her help in re-shaping the collar (reduced in width) and for the help in sourcing the slide for the buckle! Turns out that the perfect one was found in one of two ebay lot purchases. I now have a wonderful stash of vintage buckles and slides, and lots of MOP, both old and new! Oh, and the tuck on the left (right in the photo) sort of disappears both on the Joey (couldn't be a Judy... wears too many boy's clothes!) and on the little boy. Oh well! 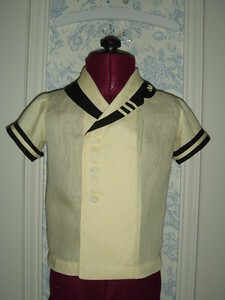 Vintage Tagua (vegetable ivory) buttons on both Spencer's romper and Jameson's shirt. I made two shirts the same size... one for my dh and one for my dsil. One of the shirts is featured in a Sew Beautiful magazine article, which focuses on lining up print fabrics at center front, seams and pockets. The article is "Front and Center: All Lined Up" and it is in the July/August 2011 issue. (Likely both guys are hoping it is the other one's shirt in the article!) 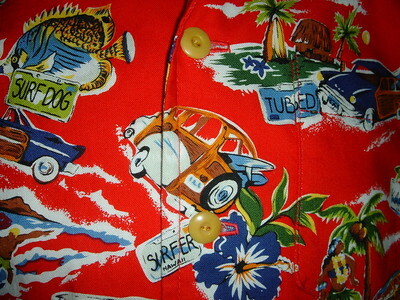 Dsil's shirt; dh's is the same. 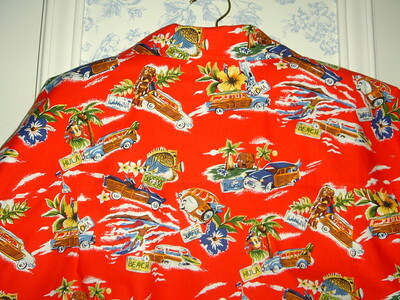 Kwik Sew pattern. I decided to try to match the print here... not quite, but close!